3. 2011 Annual Ball dedicated to the initiation of a scholarship fund to assist Ghanaian students with funding their higher education. Awards!! Dance galore!!! Support a worthy cause!!!! Founders Event Center Thriving, spacious, decent & safe space to have fund!!! The Rocky Mountain Ghana Council comprises representatives of most of the Ghanaian associations and churches in the Denver metro area of Colorado. Each of the member associations is represented by three voting members. The council is a non-profit entity and primarily provides for the welfare of the Ghanaian community. 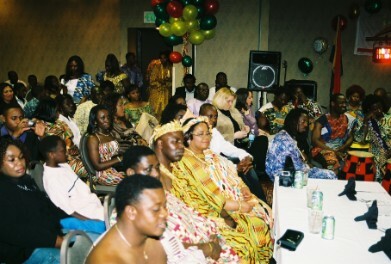 RMGC also serves as the mouth piece of the Ghanaian community. We are governed by a five-member executive and an evolving constitution with a strong emphasis on welfare.